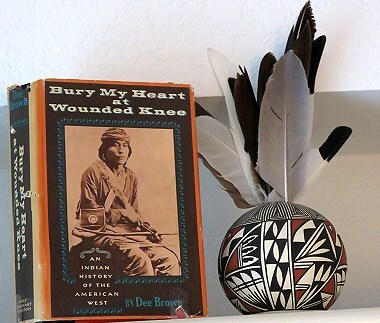 Bury My Heart at Wounded Knee by Dee Brown. There is not a lot I can say about this "history" book. Some of it we have heard or read about over the years. The first 12 pages of this book is more then heartbreaking. The people who came to this country were, in my opinion, truly "sick of mind"... sadly, some things never change. Greed. "Traditional texts glory in our nation's western expansion, the great conquest of the virgin frontier. But how did the original Americans... the Dakota, Nez Perce, Utes, Poncas, Cheyenne, Navaho, Apache, and others... feel about the coming of the white man, the expropriation of their land, the destruction of their way of life? What happened to Geronimo, Chief Joseph, Cochise, Red Cloud, Little Wolf, and Sitting Bull as their people were killed or driven onto reservations during decades of broken promises, oppression, and war? Bury My Heart at Wounded Knee is a documented account of the systematic plunder, of the American Indians during the second half of the nineteenth century, battle by battle, massacre by massacre, broken treaty by broken treaty.Here for the first time is their side of the story. We can see their faces, hear their voices as they tried desperately to live in peace and harmony with the white man." This is one of those rare books that will have to be pried out of my cold dead hands. That's all I can say. Cheech, Is not my Real Name ...but don't call me Chong! by Cheech Marin. My girlfriend Cathy bought me this book for my birthday. 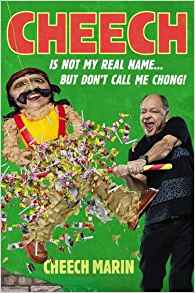 Cheech had been on shows promoting the book and it was being said that it was written with much humor. I figured I needed some humor and mentioned the book and the next thing I know there it is! The book IS written with humor. I can't say I followed his whole career so it was interesting to read that I knew more of his career than I thought I knew. And still much I didn't know. It was a good story if a rise to fame and the good and bad that comes with it. I did have one disappointment.. I knew drugs were involved with Cheech and Chong, but for whatever reason I thought it was more Chong, then Cheech. It probably was but the disappointment (for ME.) was to hear that many still use some. But that's just me. 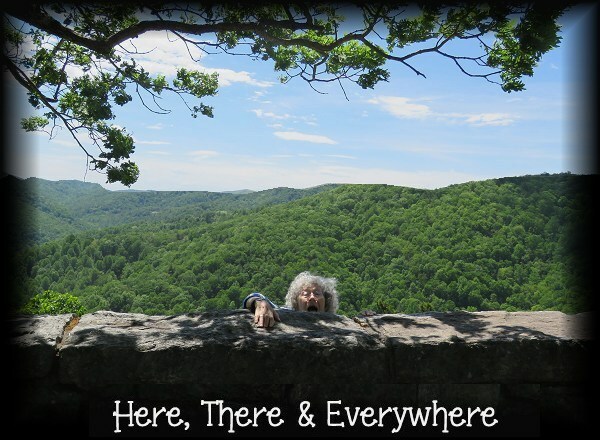 I never felt that anyone needed "help" to enjoy yourself or to be happy. To me, that's a false happiness. So.. whatever... I still enjoyed the book and thin "Cheech" did a lot of good to make people happy. That's got to be a good feeling for all comedians... making others happy. Thanks Cheech. And although you thought Cheech and Chongs Corsican Brothers was your worst movie.. I loved it! 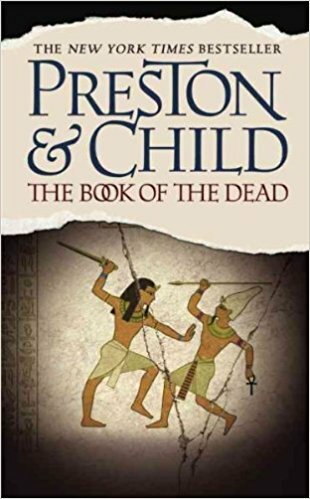 Book of the Dead by Douglas Preston & Lincoln Child. This book took me a long time to read.. NOT because I wasn't enjoying it though. Life got in the way. But I finally finished it and can say I still enjoyed it. I came to find out that the main characters did 2 books before this one. It didn't seem to bother the reading of this book. I thought about reading the other two books, but looked around at all the books I have here and decided to not push my luck. There was a multitude of "mysteries" going on at once. Why was the FBI agent in prison? Who stole the diamonds and sent them back all crushed? Why were people who went into the tomb being found dead? To find out the answers.. you'll have to read the book!